Our coffee beans are grown on Costa Rican volcanic mountains and nourished on rich volcanic soil. The mixture of a cool climate, shade and moisture from the clouds produces the unique Costa Rican smooth and rich flavor. We use only the finest estate grown gourmet coffee beans. Part of the Pacific Ring of Fire Circle, Costa Rica has over 200 identifiable volcanic formations dating back over 65 million years. 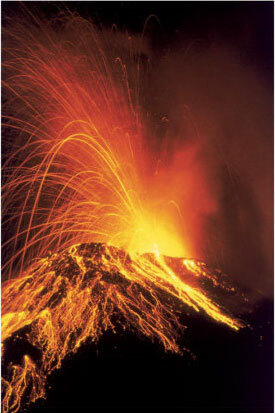 Today 100 or so show signs of volcanic activity, and five are classified as active volcanoes. Most of the volcanoes in Costa Rica lie in the northern part of the country and in the Central Highlands; these are prime coffee growing regions. 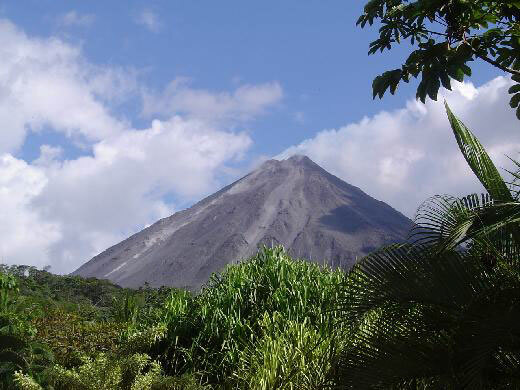 The volcanoes are a key part of this country’s spectacular natural diversity. This is because they have played an important role in how the lush landscape of this region has come into being. Due to the many volcanic eruptions over the past millennia, the soil in Costa Rica is rich in many minerals and very fertile. This natural fertility contributes to the production of unique and exceptional coffee. • 100% Arabica • SHB (Strictly Hard Bean) • Shade Grown • Hand Picked • Sorted for the Hardest Beans • More Than Fair Certification • Varietal Estate Grown • All Natural, No Preservatives • 100% Regional • One-Year Shelf Life • One Way Valves • Natural Grown Coffee • Fresh Roasted Coffee • Best price- Best Quality! We will roast your coffee within 24 hours of shipping. This way you received the best coffee for your cup possible! Taste the Difference of Fresh Roasted Volcano Coffee! All of our roasted coffee is heat sealed in high quality, heavy duty, stand up bags with one way valves for absolute freshness. We have dedicated ourselves to providing our customers with the finest beans roasted in small batches to meet each order. That means that each batch of coffee is custom roasted for your order and packaged by hand. This ensures your coffee is truly the freshest, best tasting coffee for your cup. Tarrazu: From El Cerro Estate often called one of the world's finest coffees - and rightfully so. Full-bodied with excellent acidity. You will enjoy an unusually silky flavor, a full well-balanced body, an intensity which fills the palate, and a superb, beguiling aroma that creates an outstanding eloquent profile. Barva Estate Natural: Lively, very fruity with a heavy floral note - full bodied - with a more intense flavor than other Costa Rican coffees because it is a natural coffee. Peaberry: Your typical coffee fruit (cherry) has two beans in it. The peaberry has a single, uniquely small roundish coffee bean that consistently produces a more robust and intense flavor than regular Costa Rican beans. Hand Crafted for the best beans. All coffee beans are shade grown, handpicked, selected for the hardest beans, sun dried, processed & packed on the farm, then shipped to the United States for custom roasting. When the coffee is processed and packed on each farm, you are assured of pure regional coffee, not a blend or mix of coffees from several farms or regions! Custom Roasted for GMHP by Cafe Cortez. After selecting only the best coffee beans, we roast them for your order in a consistently perfect manner with techniques approved by the SCAA (Specialty Coffee Association of America). "Can a coffee be too perfect? That's the criticism leveled at the coffees from Costa Rica - too balanced, too clean, too mild. We categorize this type of coffee as the "classic cup," the traditional balanced coffee that has no defects or taints. Coffee cuppers call it "clean." But there's can be more to a Costa Rican coffee. They are prized for their high notes: bright citrus or berry-like flavors in the acidity. And in the best cups they fade into chocolate or spice flavors in the aftertaste ..."
This may be the best coffee you ever tasted!